NEW YORK — Remember “Club Dub” in Chicago? Well meet the bouncing, bass-bumping version in the Bronx. At times in what has been a difficult, challenge-filled season mostly marred by an ever-growing injured list, the New York Yankees have still found occasions to celebrate. And when they have, boy, have they partied. “You guys didn’t know we had a nightclub in here?” outfielder and designated hitter Clint Frazier rhetorically asked reporters, smiling. It was about 15 minutes after the Yankees’ 5-3 win Wednesday night over their rival Boston Red Sox when media entered a home clubhouse that had a noticeably strange haze looming high in the air. No, nothing was on fire. There was no actual smoke — just the suggestion of it. It came in the form of a foggy mist, put there by a fog machine that has made an appearance or two this season. To a man, players contend they have no idea who put it there, how it got there or why it’s even there. What the 25 men on the Yankees’ current active roster do know is that they like seeing the fog machine … and the strobe lights … and hearing the booming music from right fielder Aaron Judge‘s victory mixtape. The presence of each of means the Yanks just won a hard-fought game. “The idea was to play [the fog] after big games,” Gardner said. 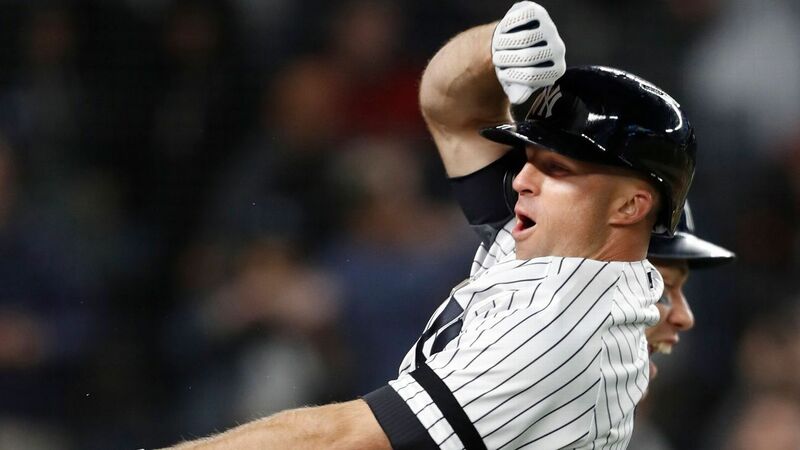 Wednesday’s game certainly qualified as that, as the Bronx Bombers completed a sweep of the scuffling Sox thanks in large part to Gardner’s seventh-inning grand slam. The homer was the 100th of his career, and was the go-ahead blast the Yankees needed in a game they had spent most of the night trailing. Along with Gardner’s homer, the Yankees got a strong 6⅓-inning outing from starter J.A. Happ, who had not pitched out of the fifth inning in his first three starts of the year. A mid-game adjustment got the lefty past a rough first two innings which saw him give up two home runs. He has allowed homers in all four starts he has made this season. Frazier played his own key role in the win, going 3-for-3 with a pair of singles and an RBI double. Barely a year removed from a serious concussion, Frazier has taken full advantage of his opportunities playing in relief of the injured Giancarlo Stanton. Through 13 games, Frazier is hitting .333 with four homers and 12 RBIs. At one point in Wednesday’s celebration, the fog was so intense that Frazier said he had trouble identifying individual players until they stumbled far out of the fog. Last football season, the Chicago Bears made headlines when their post-win celebrations were posted to the team’s social media channels. Players were regularly singing and dancing as strobe lights bounced erratically off the locker room’s walls. 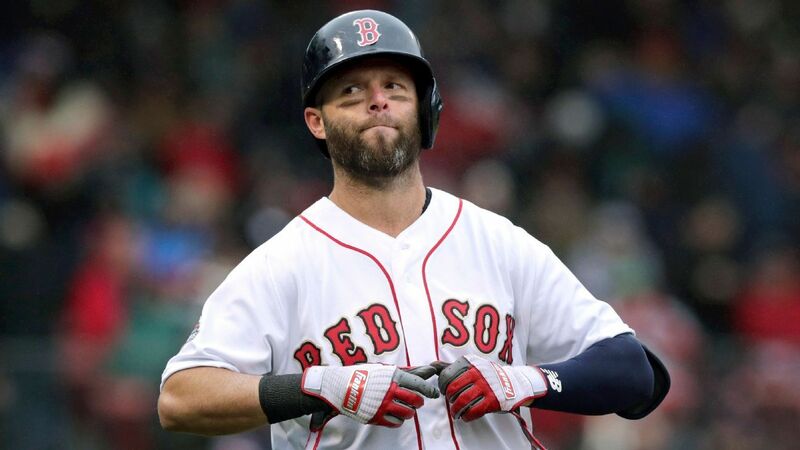 NEW YORK — Boston Red Sox second baseman Dustin Pedroia left Wednesday night’s game against the New York Yankees after his first at-bat with left knee discomfort. Manager Alex Cora said after the Red Sox’s 5-3 loss that Pedroia had approached him and told him that he felt “something weird” in his surgically repaired knee. Pedroia will stay in New York and be evaluated by a doctor Thursday. Cora said the team likely will need help at second base with Pedroia’s injury, although a roster move was not announced after the game. Infielder Tzu-Wei Lin, who has served as organizational depth the past two seasons, appears to be the logical choice to come up from Triple-A should Pedroia hit the injured list. Pedroia, who has had issues with the knee since 2017 and missed all but three games during the 2018 season, made his 2019 debut in the team’s home opener last week. 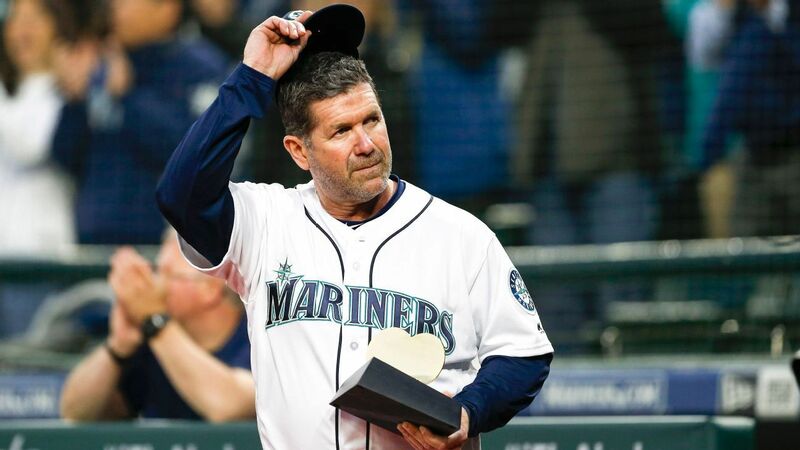 The 35-year-old longtime fan favorite is just 2-for-20 so far, starting his first three games at second base and two games at designated hitter. He was playing second Wednesday night and was replaced by Eduardo Nunez. Red Sox president of baseball operations Dave Dombrowski had said Tuesday that Pedroia was exactly where he expected to be offensively and that his three rehab games for Class A Greenville sufficed. “He felt he was ready to go,” Dombrowski said. “To stretch this out over a lengthy period, it would take a long time period to get through the whole time. After spending 2017 playing through left knee discomfort, Pedroia had a cartilage restoration procedure. He told reporters at spring training this year that if he could do it all over again, he would not have had the surgery, which ended up sidelining him for most of 2018. “I don’t regret doing it, but looking back and [knowing] what I know now, I wouldn’t have done it,” Pedroia said in March. Pedroia’s health struggles have put the Red Sox in a tight position, including using catcher Christian Vazquez at second. Vazquez, who totaled 4 2/3 innings at the position for Greenville back in 2010 and did not own an infielder’s glove, made an appearance at the position in the 2018 World Series. Pedroia, who has had issues with the knee since 2017 and missed all but three games during the 2018 season, made his 2019 debut in the team’s home opener last week. The 35-year-old longtime fan favorite is just 2-for-20 so far, starting his first three games at second base and two games at designated hitter. He was playing second Wednesday night and was replaced by Eduardo Nunez in the 5-3 loss. Pedroia will remain in New York and have additional tests on the knee Thursday, Red Sox manager Alex Cora said after the game.